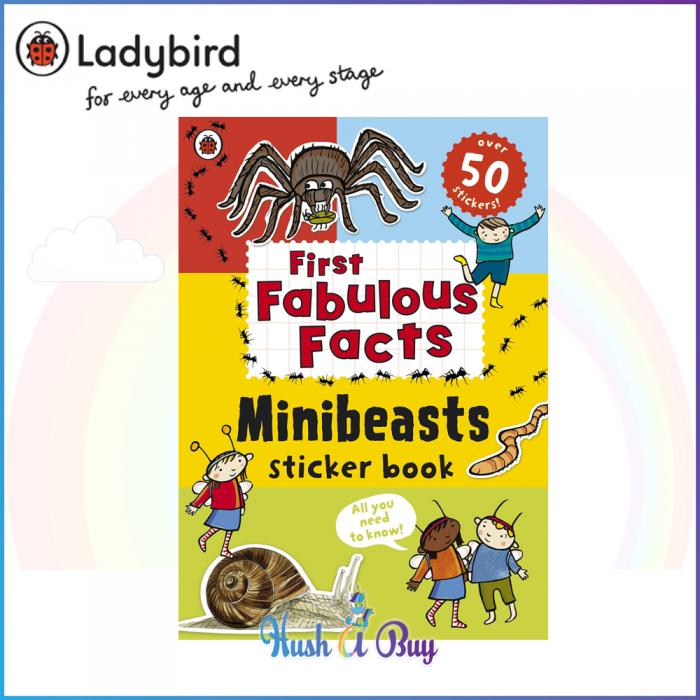 Ladybird's First Fabulous Facts is an illustrated non-fiction series for 3-5 year olds. Fun and fascinating facts engage young children and bring their favourite interests, hobbies and obsessions to life. The Minibeasts Sticker Book explains what creepy-crawlies are and how they live, what they eat, what they do to protect themselves and how they move about. Spiders, insects, slugs, snails, centipedes and more are all featured in this brilliant introduction to the smallest of creatures. Lots of great information and plenty of yucky, bug-based facts that children love! Over 50 interactive stickers add interest and engage children further still. Look out for Ladybird's First Fabulous Facts Dinosaurs Sticker Book, too!